Here, with humility, I stand as Chief Executive-Elect of the Hong Kong Special Administrative Region of the People’s Republic of China, and ready to begin a new chapter in our journey together. 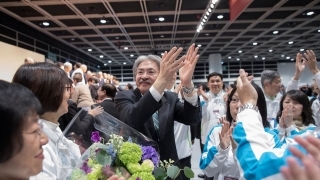 I want to thank Mr. John Tsang, Mr. Woo Kwok-hing, and Mrs. Regina Ip. They all ran good campaigns which taught me a lot. I hope they would continue to serve the Hong Kong people with me, in whatever ways they feel appropriate. I need to thank the members of the Election Committee. Regardless of whom they have voted for, I thank them for caring about Hong Kong and for their active participation in this election. The media, especially frontline reporters, deserve appreciation. Thank you for helping the people monitor the campaign and me. It has been 2 months of very hard work. Colleagues in my campaign office have worked hard too. I am grateful for their tireless contribution night and day. Most of all, I thank the people from different sectors and all the citizens who have shared their thoughts and views in their ways. At the start of this campaign, I felt rather confident that years of public service meant I should know things reasonably well. In the process, however, I heard so much more from people’s hearts, and learnt and experienced many new things as well as different angles to things. I see my shortcomings and understand that I must put in more efforts. I also understand that being the Chief Executive will be very different from all the other positions in which I have previously served. In those positions, my role tended towards implementing solutions to problems. As Chief Executive, it will be my responsibility to identify the crux of the matter and address the problems with a more macro approach. Hong Kong, our home, is suffering from quite a serious divisiveness and has accumulated a lot of frustration. My priority will be to heal the divide and to ease the frustration – and to unite our society to move forward. To me, unity must be built step by step on solid ground. It is through real work and actual results that I will respond to those who support me, and garner the recognition of those yet to support me. Deeds speak louder than words. I also want to stress: in forming my governance team, my principle is to attract talent widely and on merit. Anyone with a sincere wish to serve, the ability, and the commitment, regardless of political affiliation, I shall invite to join my team. I will tell every member of my team to listen to and work with the people in reaching collective decisions and taking action. Only in this way will we achieve real consensus and gain the widest support from society. The work of uniting our society to move forward begins now. To take as an example the proposal in my Manifesto to increase the recurrent expenditure for education by HK$5 billion, I will reach out to the various stakeholders and legislators very soon. Regardless of political stance, for the sake of our next generation, we should sit down to discuss and decide how to apply these new resources. I am confident that we can put aside any differences and achieve a win-win situation. I have proposed to apply financial and tax measures in a strategic way to facilitate economic development. This includes the introduction of a 2-tier profits tax system, and tax deductions to incentivize research and development. Hong Kong needs new thinking. I invite employers and employees in all sectors, as well as experts, and academics to come up with ideas and help devise new plans. As we all know, housing is an issue that has been problematic for Hong Kong for some time. 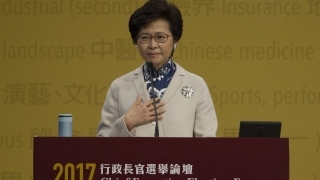 I have pledged to help Hong Kong people attain home ownership and to improve living conditions. To do this, we need more usable land; the key is to reach a consensus on how to increase supply. I will bring together professionals from planning, engineering, architecture, and environmental protection to form the task force which I have mentioned in my Manifesto, to get a start on the process of public engagement. Hong Kong is a diverse society, with different views coexisting. Values such as inclusiveness, freedoms of the press and of speech, respect for human rights, and systems which have taken generations to establish, such as the independent judiciary, rule of law, and clean government, are matters that we Hong Kong people find precious and are proud of. As your Chief Executive, I shall do my utmost to uphold “One Country Two Systems” and to guard our core values. These values are the reason we love Hong Kong our home so much. They also make our society lively and creative. I welcome and indeed encourage the spectrum of voices. Through substantive collaboration, we will show that different views can respect each other, work together, and heal the divisiveness. This will not be easy; the future Administration will have other equally if not even more difficult tasks. We will prioritize; we will also be smart about leveraging the forces of the government, civil society, as well as the public at large. In particular, I wish to tap the forces of our young people. The young has the most energy. More importantly, they often are at the forefront of society, pulling and pushing us as a whole to make progress. 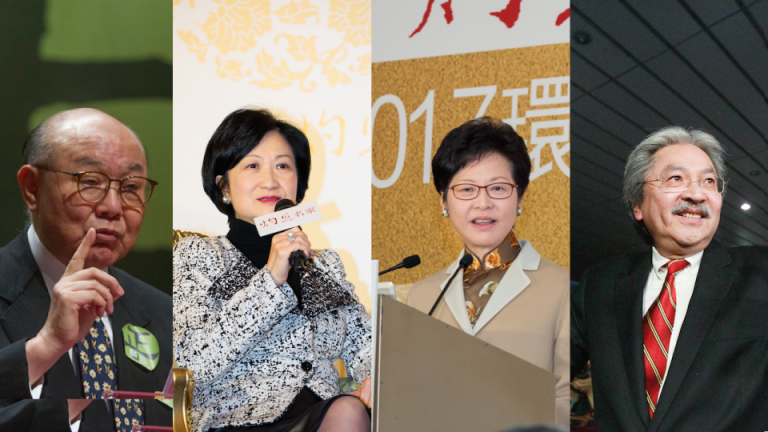 In this campaign, I have felt deeply our younger people’s strong desires and their passion for Hong Kong. Whether in my district visits, meetings, encounter with protests, or receiving phone calls, emails or Facebook messages, the most forthright are often younger. In fact, large parts of my Manifesto were inspired by young people. I myself started paying attention to social issues and deciding to seek a more just and benevolent society when I was in university. Now, some years later, I am still passionate about serving the people. Looking ahead to the next 5 years, there will be plenty of work, and the problems will not be easy to overcome. My heart remains the same, only more humble. I look forward to our road ahead. 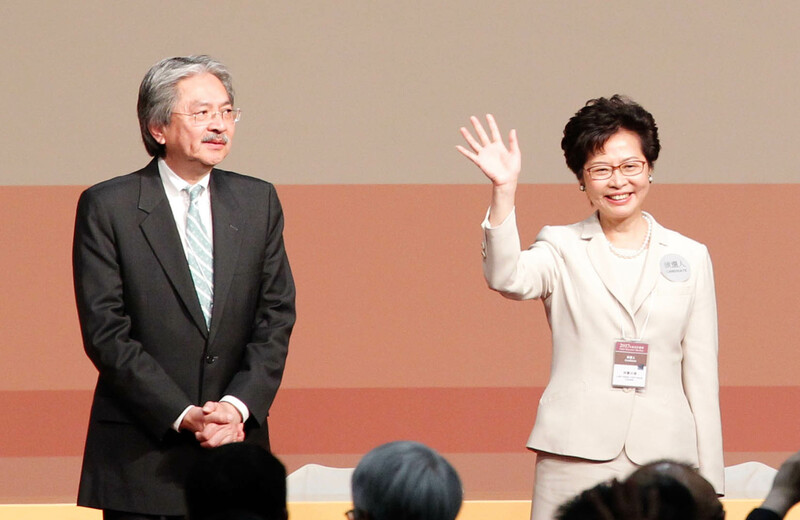 Through caring, listening, and taking action, we will build an even better Hong Kong!